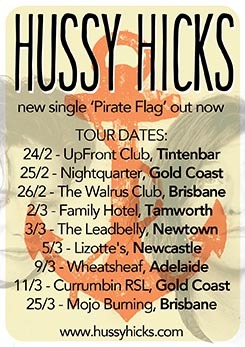 Hussy Hicks Announce New Single “Pirate Flag” and Set Sail on An Aussie Tour! 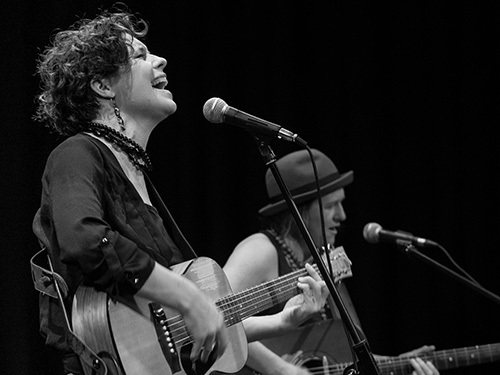 The Gold Coast Duo have recorded one of their fans live favourites and since the lyrics reflect the current world situation they just had to get out on tour and perform the tune as well. ‘Let’s set sail under a pirate flag’ is the message in this track that is a firm crowd favourite from Hussy Hicks live sets and echoes a sentiment of political skepticism that resonates the world over in these turbulent times. This latest single along with ‘Whole Lotta’ (2016 Amrap top 5/Roots n All Triple J) are both being added as bonus tracks to a limited edition vinyl pressing of their 2016 release ‘Lucky Joe’s Wine and other tales from Dog River’ to be made available mid 2017. After the band tracks were recorded live in beautiful Byron Bay, the tune navigated its way to London where it was mixed by long term collaborator A Friend O Mine and Mastered at Abbey Rd Studios. Featuring the core HH team, Julz Parker and Leesa Gentz along with rhythm section Tracy Stephens and Rohan Hems the track is true to the Hussy Hicks live sound and will be music to the ears of their regular fans who have been crying out for this track to be recorded. 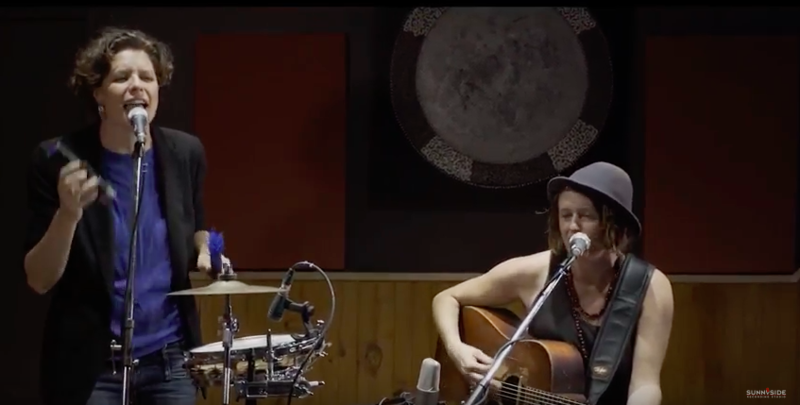 Click below to see the new single “Pirate Flag” performed live at Sunny Side Studios!